We aim to work together with home and parish to help each child develop a personal relationship with God, through Jesus Christ. The school follows the ‘Come and See’ programme, which provides a systematic presentation of the Christian message and way of life appropriate to the ages of the children. During the school week, children are given many opportunities to celebrate God’s love through prayer and assemblies. The school has a rota of class Masses, with additional whole school Masses each term. Time is given for reflection to enable children to consider what is of value to them and what gives purpose to their lives. Throughout the year, the children are also encouraged to contribute in a variety of ways to different charitable causes. You have the right in law to withdraw your child from assemblies or R.E. However, R.E. is interpreted into every aspect of life in our Catholic school so this would be incompatible with the reflection of St Saviour’s for your child’s education. We are successful in teaching children phonics to help them learn to read and spell. We use Letters and Sounds programme to teach Phonics. 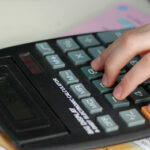 Explain and make predictions from the numbers in graphs, diagrams and tables. Through our Science curriculum we aim to give children the experience of a wide range of practical work as well as developing scientific skills and attitudes. Science helps children to understand more about the world around them and encourages them to question aspects that they don’t understand. Children are given an awareness of the role and importance of science in everyday life together with a consideration of the part that science has played in the development of everyday items. Our children are also given the opportunity to consider ways in which living things and the environment need protection. A new Information Communication Technology (I.C.T.) suite has been installed and we are proud of the ICT facilities we have in our school. 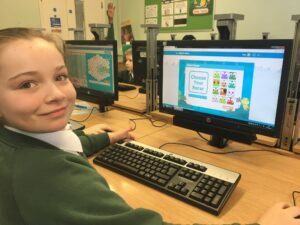 All classes have access to Interactive whiteboards and computers within their classrooms which are linked to our ICT suite. We have access to the internet which is carefully monitored (including a child and a parental agreement form) to ensure that children are protected from inappropriate material. We also have a school web-site which is up-dated regularly. 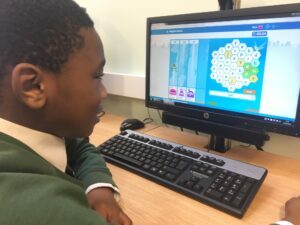 We teach ICT as a discrete subject as well as encouraging our children to use and develop their ICT skills across all other subjects. 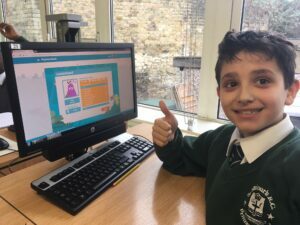 From September 2014 the children will also be taught “Computing” which will result in children being able to use coding and programming skills. Through Art our children are encouraged to develop their creativity and imagination. Children are encouraged to build on skills to develop their control of materials, tools and techniques. We develop our children’s critical awareness of the roles and purposes of Art, craft and design in different times and cultures. Our aim is for children to become more confident in using visual and tactile elements and materials and processes to communicate what they see, feel and think. We have a strong musical tradition within the school. Children participate in a range of musical activities, which include singing, composing and performing using tuned and percussion instruments. They listen to and discuss a variety of styles of music. In Key Stage 2 a limited number of children have the opportunity to learn to play the guitar and clarinet through the Lewisham Music Service. There are also opportunities for many of our children to join music clubs and choirs run by the staff throughout the year. Develop a critical awareness of both their own and others’ responses to their designs as well as responding to designs around them in the man-made world. Pupils investigate a variety of people, places and environments at different scales in the United Kingdom and abroad, including the local area, then find out about different environments and the people who live there. They also begin to learn about the wider world. They carry out geographical enquiry inside and outside the classroom. We encourage field trips, to allow pupils to see places for themselves, and regularly visit Horton Kirby in Kent. Children are encouraged to ask geographical questions, and use geographical skills and resources such as maps, atlases, aerial photographs and ICT. Through History our pupils learn about significant people, events and places from both the recent and more distant past. They learn about change and continuity in their own area in Britain and in other parts of the world. They use different sources of information to help them investigate the past both in depth and in overview, using dates and historical vocabulary to describe events, people and developments. They also learn that the past can be represented and interpreted in different ways. Good use is made of the local environment, which is rich in resources and of the many fantastic museums in London. Children are expected to participate in all P.E. activities. Throughout their time at St Saviour’s children will have experience of dance, gymnastics, athletics, swimming and outdoor games. Together, these promote the children’s physical development, an awareness and understanding of the body, the development of skills and imagination and an appreciation of creative performances. Most importantly, it is hoped that the children will gain enjoyment from physical education and pursue sporting activities outside school, thus promoting a healthy lifestyle. We also currently employ a specialist P.E. coach who delivers both lessons and lunch time coaching. This term we are introducing Italian lessons for all year groups from 1 – 6. The tutor is being provided by the Italian Consulate and will be in school every Wednesday throughout the year. This will provide children with the necessary skills to communicate orally and help prepare them for transfer to secondary school.